Apparently Bey Logan will be recording new audio commentaries for some of 88 Films forthcoming Hong Kong releases. If this turns out to be true, it's a major boon for 88 Films. That would be great. I hope that means they have a couple more tantalizing Shaw Bros titles in store than Hex and Five Element Ninjas. Although I do like Hex. Last edited by pointless on Sat Apr 30, 2016 5:40 pm, edited 1 time in total. Nice. Hopefully they can get many of the extras on the extremely expensive German release of the Lado. Glad I don't have to import the Raro of Profumo either! 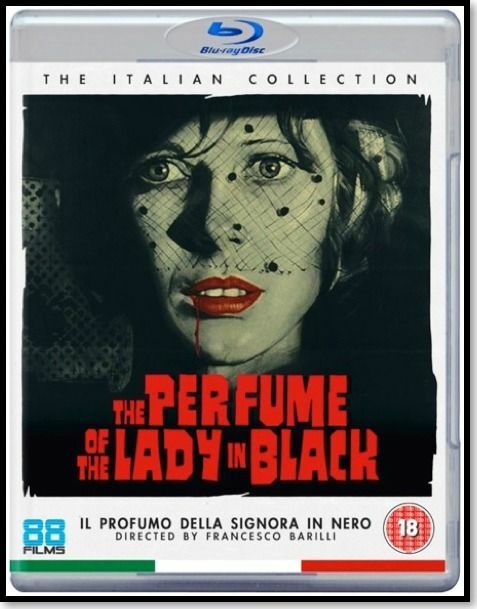 British label 88 Films will remaster in 2K four cult Italian films: Joe D'Amato's Absurd (1981) and Beyond the Darkness (1979), Michele Massimo Tarantini's Massacre in Dinosaur Valley (1985), and Lucio Fulci's Aenigma (1987). Last edited by pointless on Tue Jun 07, 2016 8:55 am, edited 1 time in total. Chang Cheh's House of Traps (1982), Ho Meng-Hua's Black Magic (1975), Richard Lester's Cuba (1979), and Ulli Lommel's The Devonsville Terror (1983). domino harvey wrote: Amazon just sent me an email saying that Olivia's been delayed. Luckily my OOP DVD hasn't sold yet in case this isn't coming, but has anyone heard anything? Just got 88 Films bluray/dvd combo pack of the Shaw Bros horror picture, Hex. I carefully examined the disc I was putting in to make sure it was the blu ray, but when the picture came up on screen I had to double-check again. It was in fact the blu ray disc, but holy cow, was it terrible. DNR swamped the picture, flattening the image almost completely and creating a distracting motion jitter in literally every shot of the film. The color is dour because of the moiring, even though there are clearly some very colorful shots hiding behind the destruction of the image. This disc is a complete mess. I have blu rays from Germany and the US of Celestial Shaw Brothers films, which prove there's real picture quality to be had from these films. It can't just be Celestial delivering poor masters; this picture quality looks like some of the worst I've seen on blu ray; it looks like murder. It's really too bad, because 88 films has House of Traps coming soon. I was hoping most of these places had got beyond this hideous noise reduction, but it's sad to see new companies plunging into the blu ray market and delivering the same mistakes people were making five years ago. There are some Bey Logan extra features on the disc, but I didn't bother to look into them. I've heard Bey talk about the Shaw Brothers quite a lot. If there was a commentary on the film itself, I would keep the disc for that reason, but there's no good reason to hold onto it. The IVL DVD is an easier watch than this stuttering, macroblocking, slimy piece of junk. feihong wrote: Just got 88 Films bluray/dvd combo pack of the Shaw Bros horror picture, Hex. I carefully examined the disc I was putting in to make sure it was the blu ray, but when the picture came up on screen I had to double-check again. It was in fact the blu ray disc, but holy cow, was it terrible. DNR swamped the picture, flattening the image almost completely and creating a distracting motion jitter in literally every shot of the film. The color is dour because of the moiring, even though there are clearly some very colorful shots hiding behind the destruction of the image.
. Although, after 40-50 minutes, the story line started to assume it own identity. I guess you can understand that the viewing turned out to be exciting for me. I just stopped thinking about the quality. I also had the similar experience when I watched their release of Night Train Murders. It was also a blind buy for me. I was super excited when I discovered that the film was going to be an Italian take on my all time favorite Bergman film. I feel ashamed to say that I just recently watched The Last House on the Left. The exciting part for me to find out that it was an American attempt to resurrect my favorite Bergman story. I think the Hex transfer is a fairly old one from Celestial, hence it looking poor. Celestial's DNR clashing with the film's use of filters. They never were ideal transfers though, the Shaws. Too much messing. But I have Japanese blurays of Come Drink with Me, Mighty Peking Man, Golden Swallow, The Heroic Ones, Water Margin...German blurays of Sentimental Swordsman, Eight Diagram Pole Fighter, Crippled Avengers, Mad Monkey Kung Fu, The Kung Fu Master, King Boxer, and they all look great, to say nothing of the Media Blasters Deadly Duo. Those discs look pristine, and nothing like the IVL DVDs--and in terms of the time schedule of IVL releases, these transfers come from all over the release schedule. They are progressive transfers, except I think for Mad Monkey Kung Fu, and they have grain, depth of field, strong colors, none of the motion problems of Hex...Even the Japanese bluray of Heroes of the East, which has a lot of problems, looks like a million bucks compared to the new Hex bluray. Hex literally does not look like a blu-ray. It looks like a disastrously authored DVD. The picture has constant, obvious ghosting, obnoxious motion jitter, low-quality color reproduction, and it has a profound lack of detail. I doubt it has to be this way--true, Hex was an early release for Celestial; but it wasn't one of the earliest, non-anamorphic releases, I don't believe (and many of those have subsequently been brought out in superb blu rays--the Japanese discs of Come Drink with Me and The Heroic Ones, for example, are gorgeous). I don't think it was one of the films restored with 35mm projection in mind, but I don't think The Deadly Duo was, either, and the blu ray turned out really good-looking. 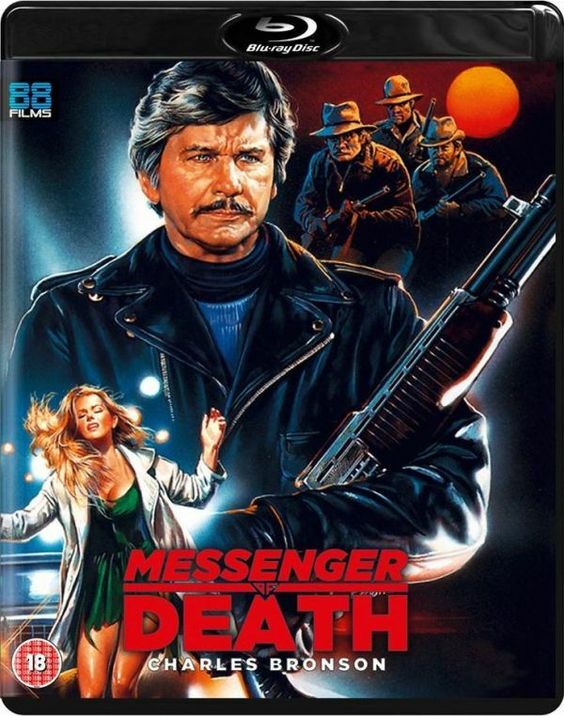 So did the German blu of The Savage Five. I don't have any inside information, but what I've seen of other discs in other regions suggests that this isn't exclusively Celestial's fault. I just wish the upcoming Seeding of a Ghost won't fail. Mind you, Hex wasn't on Celestial's HD listings in their published catalogue. Maybe it's an upscale? It definitely looks like an upscale, but even in that regard, the ghosting and stuttering is way in excess of what should be there. I mean, even for a DVD release, it's a failure. I don't recall it stuttering on my player. The murky ghosting is less of an issue when I turn down the brightness on the monitor - it's got poor black levels. Even so, it's very dated and weak looking. The biggest issue I have that was potentially correctable was that the subs are timed for the Mandarin track (not present on the 88 films release), not the Cantonese - a common Celestial issue. Sadly, I think we're stuck with these half-assed transfers of the Shaws. I find the Celestial remasters of my favourite Shaws - Chinese Boxer and New One-Armed Swordsman - a royal pain, as they removed the splicing frames at the beginning and end of shots, making a mess of the fast-paced cutting. I'd have much preferred the option of warts-and-all scans, even old theatrical prints with wacky subs. What we have are superficially pretty TV broadcast friendly masters, not honest archival quality reference work. 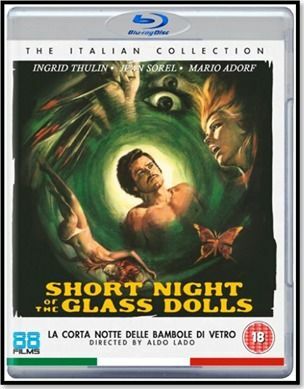 So frustrating that their Blu-ray of Short Night of the Glass Doll is barebones. That was the reason I was taking interest in the label in the first place! Definitely want The Mercenary, and some Poliziotteschi. Appears to be available now. Orlac wrote: I don't recall it stuttering on my player. The murky ghosting is less of an issue when I turn down the brightness on the monitor - it's got poor black levels. Even so, it's very dated and weak looking. I watched mine tonight and I have to say I agree with this for the most part. I didn't get stuttering or really even notice the ghosting. So, yeah, dated transfer and obviously an upscale. But hardly the disaster i was expecting. my biggest complaint are the subtitles. The only thing that would have made it more like my experience of watching Hong Kong VHS and laser discs would be subtitles running off the left and right of the screen.